Victorian Christmas Graphic. Click the image to view and download the full-size version. This Victorian Christmas Graphic is a lovely and rare image from an 1880s scrapbook, featuring a family shopping for Christmas. While the mother is speaking to someone, possibly the shopkeeper, the children’s arms are full of gifts that are wrapped in paper an bound with twine. The window display is full of toys, including dolls, bears, and stuffed animals. This festive image would be great for all kinds of creative projects, scrapbooks, digital designs, fabric block making, card making, tags, and more. 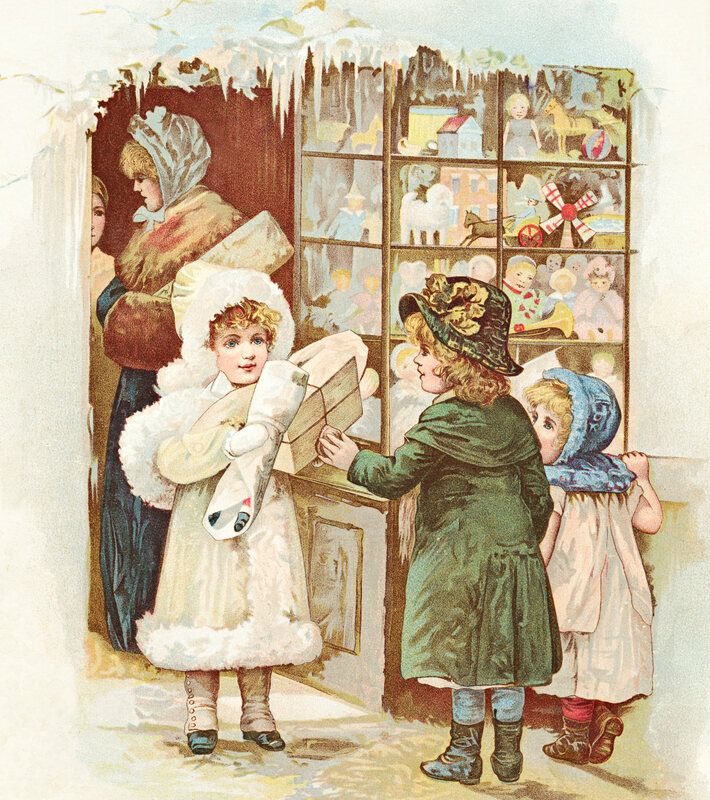 This entry was posted in Christmas Graphics and tagged antique image, Christmas clipart, free clipart, Victorian Christmas Graphic, vintage image on October 21, 2014 by ClipArtPlace.